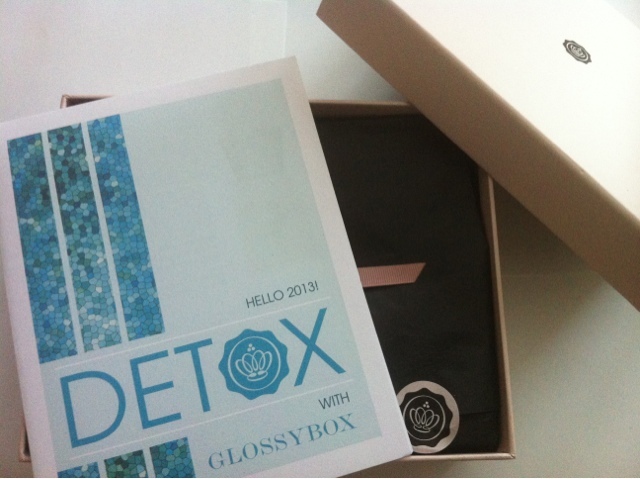 Today's post is maybe if they're liked going to become a series of monthly Glossybox reviews/openings, today I'm doing a first impressions on January's box and my favourites from last months box! If your new to Glossybox it is basically a monthly subscription service at £10 a month + P&P, that sends you out 4-5 beauty samples, plus sometimes full sizes too (and sometimes some extra goodies) each month, its a great way to try out new things and beauty products you probably wouldn't pick up before. Firstly was a little extra from Glossybox, a Glossy Eye Mask, I actually find these annoy me in my sleep so I'm not sure if I'll use it, but its a very cute little extra to add to the box. 1) Monu Wrming Aromatic Mask: (£24.95 for 100ml) - I'm rather excited about this, I have a few other Monu products and love them, with these cold months warming definitely sounds nice! However this sample is for Normal/Combination skin and my skin is more on the dry side, so we'll see how this goes. It is a fairly good sample size at 30ml too. 2) Jason Lips Bee Healthier: (£1.99 for 4.6g) - This lip Balm, I have quickly tried and I love it, it has a taste of mint choc chip ice cream! So I'm sure this will become a favourite once I get round to using it a lot more. 3) Premae Skincare Balance Rescue Face Tonique: (£27.50 for 50ml) - When I first opened the box I have to admit this didn't wow me, then I looked at the price for a full size and it did hurt just a little bit, Plus again this isn't for my skin type. I'll give it a shot though but I think I will stay faithful to my current Toner. 4) Elemis Fresh Skin Skin Glow Facial Exfoliator: (£12 for 100ml) - I have to admit I'm very lazy with exfoliation, so I am hoping this may make me step it up a bit, it is aimed at the teen - mid twenty age range. I think I have some high hopes for this product which may be a bad thing. 5) Duck Island Limited Body Lotion: (£24.95 for 2x250ml) - I love Body Lotions and Creams in the winter, The full size price does seem to make my purse cry a little bit, so I'm a bit scared to fall in love with it. Again this product didn't wow me when I first opened the box, but I'll give it a go. I have Two favourites from last months box which are the Sleek Ultra Mattes V2 Darks Palette and the Rituals Cherry Blossom & Rice Milk Body Cream. I own a few of these Rituals Body Creams and love them to bits, they smell amazing and leave the skin feeling so soft and moisturised yet not sticky like some do, I definitely recommend trying out the Rituals Brand! I was actually Going to purchase the sleek palette as I had seen it in one of the Pixiwoo Sisters Videos and fell in love, Ive had a thing for Matte Colours this winter and I don't see it stopping anytime soon, so this palette in December was a match made in heaven. They're very pigmented and do last ok, on my oily eye lids with a base. Sleek Palettes are an amazing buy so I highly recommend any of their range of palettes too. 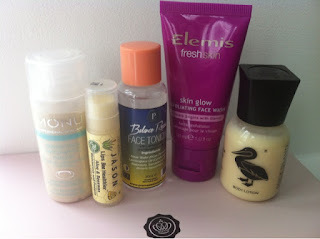 Overall this months Glossybox is a bit of a mixed one for me, I was slightly disappointed that its all skincare, I'll be sure to report back in the next one (if you like these kind of posts!) about how I got on! Let us know in the comments if your subscribed to any beauty boxes?, or if your subscribed to Glossybox and have this box? and what you think about them?